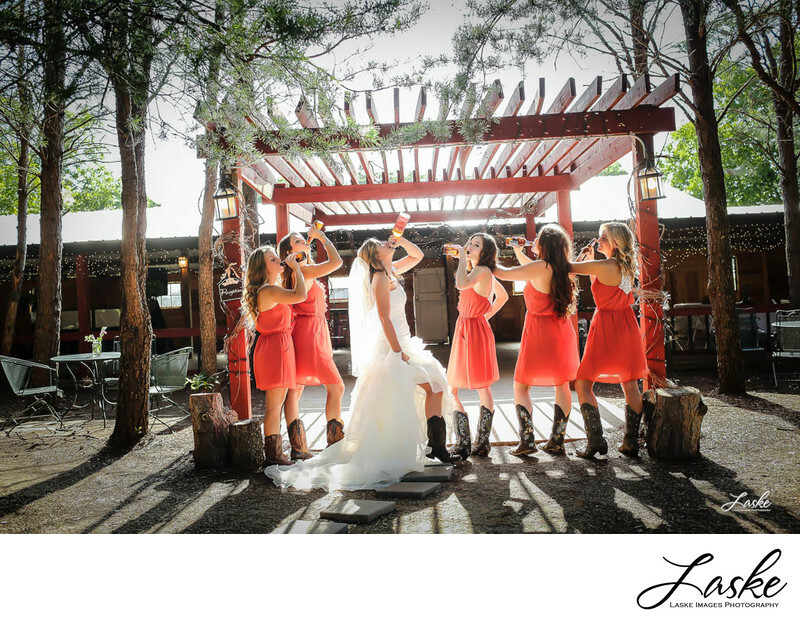 Bride surrounded by her Bridesmaids as they chug some beer from the bottles. Outside under a gondola. Tall trees around. 1/200; f/4.0; ISO 125; 35.0 mm.